Before lighting always trim the wick to 5mm and remove any wick debris this encourages an even burn, steady flame and limits sooting/mushrooming of the wick. We suggest trimming the wick every 4 hours of burn time. When wick trimming, you should always extinguish the flame and let the candle come to room temperature. Do this if the flame ever becomes too large. What will you need? Matches or a lighter. Always remember to trim the wick before lighting the candle. Light the match and hold the flame to the wick. When it lights, leave the candle to burn. Candles burn best in still air but if you can’t avoid draughts, turn the candle periodically to avoid uneven burning and possible candle collapse. A candle in a draught may also start to smoke. Use a snuffer or a spoon to put out your candle. It's safer than blowing them out, which can send sparks and hot wax flying and the wick may continue to glow and emit smoke. Double-check your candle is extinguished. 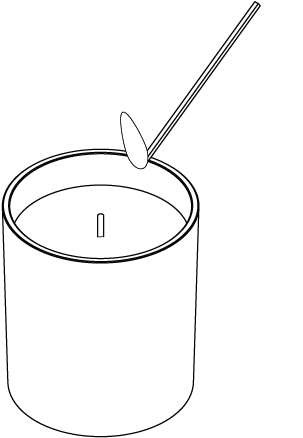 • When lighting for the first time burn until the wax melts across the entire surface to the sides of the vessel (this prevents tunnelling, and creates an even burn for the duration of the candle’s ‘life’) This may take 2-4 hours. • Candles are sensitive to temperature and light. To prevent candles from fading, cracking and melting, store your candles in a cool, dry place, away from direct sunlight, dust and fluorescent light. Store your candles in an upright position and don’t leave your candles in a car on a warm day. • Never leave burning candles unattended. • Never go to sleep with a candle still burning, and never leave a burning candle or oil burner in a child’s bedroom. 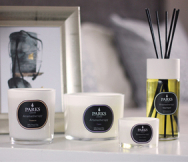 • Always remove labels and wrapping before lighting candles and other home fragrance products. • Do not position candles or fragrance products on or near TV cabinets, electrical items or heat sources. • Never burn a candle for longer than four hours at a time. After the maximum recommended burn time, let it cool, trim the wick and relight. • Always use candles and fragrance products on an appropriate tray. Under no circumstances should a candle be placed directly on a table or any other surface that may be subject to damage. • Under no circumstances should any product that generates heat, flame or fragrance be placed directly onto antique, valuable or highly polished furniture. • A draught can cause a candle to smoke. Avoid burning candles in an area where there is a draught. • Do not use if the glass container is cracked, chipped or broken. • If a candle has multiple wicks, then all wicks must be lit every time. • Don’t burn candles completely - discard them once they have burnt to 2cm from their base or holder. 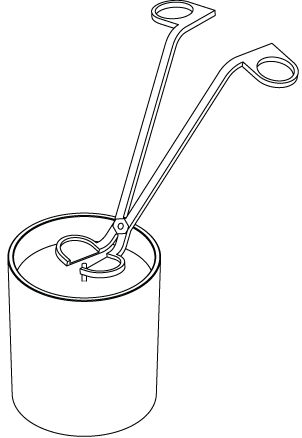 • Candle containers may become hot. Handle with care and wait for the wax to set and the candle to cool before moving. Never move a burning candle. • When lighting a candle using a match, take care to prevent any match debris from dropping onto the candle. • Always keep the wax pool free from foreign objects such as wick trimmings, wick particles, match debris and dust. • A burning candle may generate significant heat above the flame so always position well away from combustible materials. • Don’t put candles under shelves. It’s easy to forget that there’s a lot of heat above a burning candle. 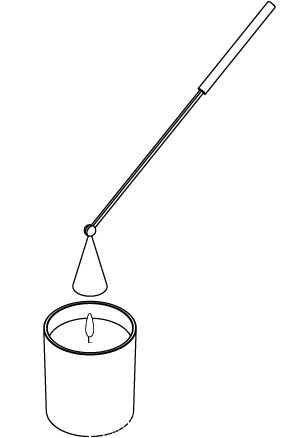 If you put your candle under a shelf or other surface it may burn the surface above. • Make sure there are at least three feet (one meter) between a candle and any surface above it. • Keep clothes and hair safely away. If there’s any chance you could lean across a candle and forget it’s there, put it somewhere else. You don’t want to set fire to your clothes or your hair. • Always read and follow the manufacturer’s use and safety instructions carefully. Don’t burn a candle longer than the manufacturer recommends. • You shouldn't store your candles for longer than 12 months from the date of purchase. After 12 months, candles can diffuse and burn less than expected.